A squirt of lemon or sprinkle of zest makes tomatoes taste sweeter. Try it! Take some decent sourdough bread – and I used Ringawera’s sundried tomato sourdough – slice and char-grill it, rub with a cut clove of garlic if liked, and top with sliced Tigerella tomatoes. Dust with finely grated lemon zest, drizzle with lemon-infused extra virgin olive oil, scatter with flaky sea salt and add a grind of pepper. Finish with a few baby rocket leaves and serve. Scrumptious. No Tigers at home? 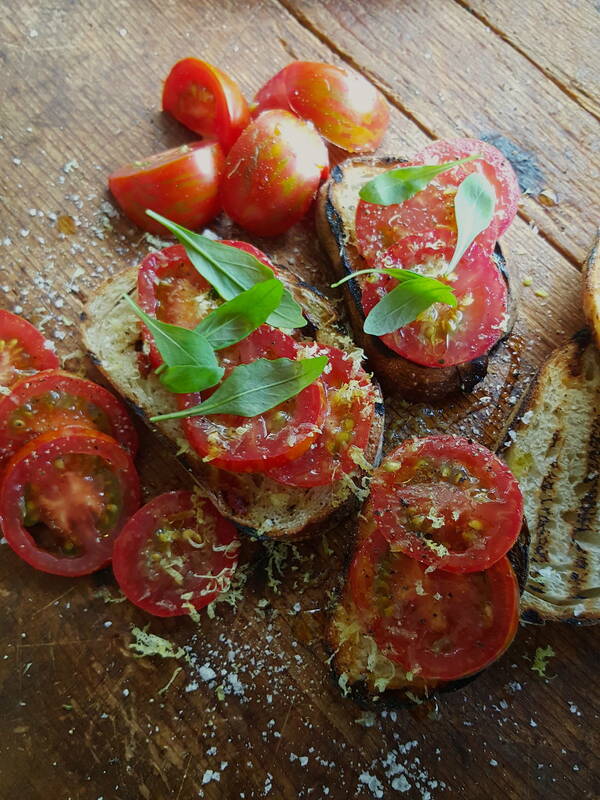 Just use your fave vine tomatoes … as long as you have good bread and oil it’ll taste great. Is Salad Caprese anything to do with the island of Capri? It's sublime in its simplicity – but there's no law to stop you ringing the changes.